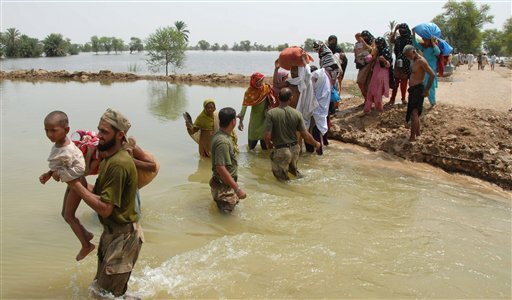 KARACHI (92 News) – Relief and rescue efforts by the Pakistan Army are in full swing in interior Sindh areas on Wednesday. Army personnel along with heavy machinery and helicopters are carrying out operations in Ghotki, Muzaffargarh and other parts of interior Sindh. Also, personnel reached Sukkhar beforehand where there is a danger of flooding.